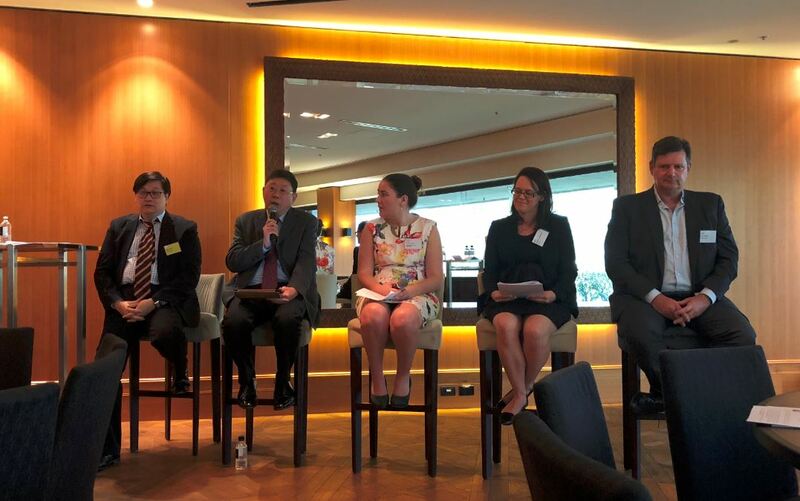 The AFIA Sydney Symposium on ‘Efficiency and Economy in International Arbitration: Are We Getting it Right?’ was held on 13 April 2018 at the Four Seasons in Sydney, in the lead up to the Sydney ICCA Congress. The panel discussion was chaired by James Kwan, Partner, Hogan Lovells (Hong Kong) and consisted of four eminent speakers from the region: Max Bonnell, Partner, White & Case (Sydney), Ning Fei, Hui Zhong Law Firm (Beijing), Fedelma Smith, Senior Legal Counsel, Permanent Court of Arbitration (Singapore) and Deborah Tomkinson, Secretary General, ACICA (Sydney). The symposium was co-sponsored by Hogan Lovells and White & Case. Fedelma Smith and Deborah Tomkinson discussed the ways in which the PCA and ACICA respectively are addressing user concerns around efficiency, a key focus of which is elements within each institution’s arbitration rules. Deborah stated that ACICA has established an internal committee to review SIAC’s Cross-Institution Consolidation Protocol. Max Bonnell spoke about the need for institutions to maintain focus on consistently high service delivery including response time to requests; and about the role of parties and counsel in taking a proactive approach to procedural issues, by agreement where possible, in order to craft a process that will work efficiently for the particular circumstances their dispute. Ning Fei introduced the audience to the way that med-arb operates in the China and the high rates of settlement that are achieved as a result of this process. Typically, parties will mediate after the arbitral process has taken place, but before the arbitrator renders an award, so that they can gauge their prospects of a favourable award before deciding whether to settle. 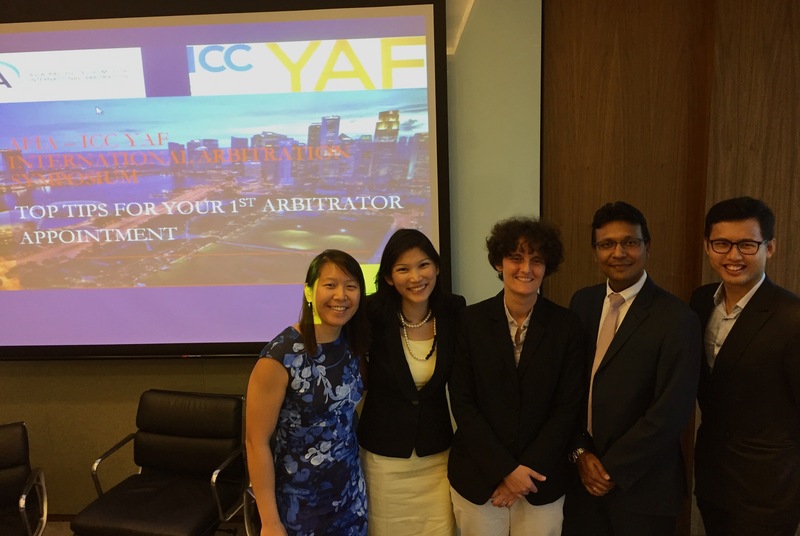 On 10 May 2018, the Asia-Pacific Forum for International Arbitration (AFIA), together with the ICC Young Arbitrators Forum (ICC-YAF), held an international arbitration symposium titled “Top Tips for your 1st Arbitrator Appointment”. The symposium, which took place in Singapore, attracted many young practitioners who were keen to obtain their first arbitrator appointments. As a hard-nosed sceptic, I had approached the event with more than a healthy dose of pessimism on the usefulness of the tips that would be discussed, but I was left pleasantly surprised at how enjoyable and useful the symposium turned out to be. (iv) how to prepare for the arbitration. When is it appropriate to accept an appointment? Mr. Thomas began by cautioning that eager young practitioners keen to take on arbitrator appointments should not be too “eager”, and in that eagerness, accept arbitrator appointments in areas of law or subject-matters with which they lack experience. He also noted that the procedural aspects of running an arbitration (as opposed to applicable substantive law points) often prove to be most challenging as the solutions are not easily found in books, but are instead acquired from experience. Procedural disputes often require arbitrators to make on-the-spot decisions, for better or for worse, which is where experience comes to aid. The advice to not take any arbitrator appointment naturally seemed counter-intuitive to younger members of the audience who were hungry to catch their first big break. On deeper thought, however, that proved to be sound advice to me. While beggars cannot be choosers, taking on appointments in areas in which the young practitioner has little to no experience could have potentially deleterious effects on his/her reputation should the arbitration be (as a result of that inexperience) ill-decided or improperly conducted. This would stymie and stifle any future arbitrator aspirations in the cradle. Young practitioners must therefore evaluate the pros and cons before accepting any appointment. This may seem like a catch-22 situation and a barrier to entry, where young practitioners who are trying to get the necessary experience in order to be prepared for arbitrator appointments are not able to obtain the experience because their lack of experience hinders such appointments. Mr Thomas then shared his own experience of how he received his first arbitrator appointment. He described it as one of “serendipity”, where he had not actively sought arbitrator appointments but had received them because of his career as counsel. He described how, in an arbitration chaired by a a leading arbitrator, he had cross-examined a witness with determinative effect in the case. He surmised that this must have left something of a positive impression on the chairman, who some two years later contacted Mr. Thomas with a potential arbitrator appointment. That first appointment led to many others. In this respect, he did not plan to become an arbitrator; the practice just happened to develop. He contrasted his own experience with that of a colleague, who had taken a more focused approach to obtaining arbitrator appointments – by reading a doctorate in arbitration and taking on various types of arbitration matter as counsel to gain experience. All of that, coupled with the fact that the said colleague was multi-lingual, made him a strong candidate for potential arbitrator appointments. While Mr Thomas and his colleague took different routes to obtain their first arbitrator appointments, both routes were premised on the potential appointee’s competence in his/her work. Mr Thomas reiterated that the best advertisement takes the form of the piece of work which leaves your desk. Although this may appear counter-intuitive owing to the confidentiality of international arbitrations, it is paramount for young practitioners to focus on giving their best in their work, instead of constantly chasing appointments or conducting a publicity blitz. The next piece of advice concerned ethical quandaries which a young practitioner may face in the course of obtaining their first arbitrator appointment. Red flags for concern would usually appear during interviews by counsel for potential appointments. These may come in the form of questions asking for substantive views on certain cases, instead of merely logistical questions such as availability or conflicts check. The young practitioner would be wise to reject such appointments because of the ethical implications which may shadow them. Apart from reading up on the material and thoroughly preparing for the arbitration in advance, Mr Thomas also advised that young arbitrators should not force the pace of the arbitration. Other tips were to not leave the drafting of the award to the last minute, but to work on it continuously throughout the arbitration (as that facilitates a better understanding of the parties’ arguments), and to also prepare a chronology containing key dates and events, which would assist in narrowing down what is truly in dispute between the parties. Another point stressed by Mr Thomas was how one should, as a party-appointed arbitrator, show respect and deference to the Chairperson and refrain from appearing to be partial to one’s appointing party. One must be open-minded to the various viewpoints and seek to get along and to cooperate with the other arbitrators. The keynote speech was followed by a panel discussion and Q&A session featuring Ms Elodie Dulac (Partner at King & Spalding), Ms Katie Chung (Of Counsel at Norton Rose Fulbright), Mr Abhinav Bhushan (Regional Director South and East Asia, ICC, International Court of Arbitration), Mr Benson Lim (Associate at Hogan Lovells), as well as the moderator Ms Charis Tan (Director at DWF LLP). The panel members shared their own experiences as first-time arbitrators and what emerged was the common experience of receiving their first appointments at 8-10 years of legal experience (which panel members generally agreed was the appropriate seniority to receive first appointments). A panel member noted that it was difficult to say how many years of experience one would need before being ready for an arbitration, since there would always be gaps in one’s knowledge because of the wide-ranging issues which come up in arbitration, but suffice to say, young practitioners should focus on gaining experience and to produce good quality work until they receive their first appointment. One panel member drew attention to the importance of obtaining qualifications such as Chartered Institute of Arbitrators or Singapore Institute of Arbitrators fellowships to increase the chances of their appointment, while another highlighted the benefit of joining young arbitration groups such as AFIA or ICC-YAF. All panel members agreed that tribunal secretary experience is very valuable to the young practitioner because of the opportunity to observe different arbitrators conduct arbitrations and their decision-making process. There was also discussion about the advantages of appointing younger practitioners over more experienced arbitrators. One member of the audience felt that younger practitioners would be more enthusiastic and industrious in arbitrating smaller disputes compared to more experienced arbitrators who may find such cases to be not worth their while. I posed a question to the panel on the issue of whether a young arbitrator in a tribunal with more experienced arbitrators might feel intimidated into adopting the views of the more experienced arbitrators and be less likely to voice out their own opinions. Members of the panel generally felt that the benefits of sitting with experienced arbitrators (such as receiving guidance on various issues that may pop up in an arbitration) outweighed the potential detriment of being possibly influenced by more experienced arbitrators. The panel members also touched on the practical aspects of being an arbitrator, with one panel member sharing that arbitrators should tailor the arbitration according to the needs and requirements of the parties. This may entail having a less cumbersome procedural order for expedited arbitrations. In contrast, a more detailed procedural order would be desirable for an arbitration where the stakes are much higher. In response to a question about conducting an arbitration for the first time, the panel members suggested looking to the arbitral institutions for support. For example, it is a little known fact that the ICC provides sample model procedural orders and terms of references which will be helpful for the first-time arbitrator. The symposium was well-organised and the opportunity to hear from an experienced arbitrator, such as the likes of Mr Thomas, and younger arbitrators on the panel gave a balanced, helpful, and informative session. A version of this article was originally published on the SCIL Blog on 23 April 2018. Ongoing dramatic geopolitical transitions in the world have inevitably impacted on the international business environment of the Asia-Pacific region. This requires Australia and other countries in the region to re-examine their legal infrastructure for transnational business disputes. Convergence and divergence of legal systems of competing and sometimes cooperating states in the Asia-Pacific require the Australian government and other stakeholders to address unprecedented legal complexities in private to private, private to public, and public to public commercial dispute resolution. On 19 April 2018, the Sydney Centre for International Law (SCIL) at the University of Sydney Law School organised a post-ICCA symposium: “International Commercial Dispute Resolution for the 21st Century: Australian Perspectives”. The symposium, the second recently with the University of Western Australia (UWA) Law School and also supported by Transnational Dispute Management (TDM), brought together leading experts in international arbitration, investment law and international business law from all over the world. They examined broad and perhaps increasingly overlapping fields such as investor-state dispute settlement (ISDS) in a changing legal and political environment, cross-border litigation in the Asian region, other international commercial dispute resolution mechanisms (arbitration and mediation), and inter-state dispute settlement. The first session was chaired by the Hon Wayne Martin AC (Chief Justice of Western Australia), who had directed final discussions at the first joint symposium held at UWA in February. It was dedicated to exploring the future of investor-state arbitration amidst new developments in dispute resolution for international business. The panel discussants first considered: “Whether there is a potential for Australia to develop international commercial courts for dealing with international litigation like the newly established international commercial courts in Singapore, Dubai or even Kazakhstan?”. A/Prof Amokura Kawharu (University of Auckland) emphasized the success and advantages of international commercial arbitration and pointed out difficulties in creating a new international commercial court in New Zealand, where courts have few judges and therefore “lists”. Dr Rajesh Sharma (RMIT University) commented that an Australian international commercial court could bring economic and financial benefits to the Australian legal sector by enabling lawyers to service in particular the Indian market, but practical issues such as visas would need to be addressed. The second panel topic was: “Challenges and opportunities in making Australia an attractive seat for arbitrating international business disputes.” A/Prof Kawharu suggested that the Comprehensive and Progressive Partnership for Trans-Pacific Partnership (TPP-11) might further activate the arbitration market in Asia-Pacific region. Dr Sharma emphasised the need for more active marketing by Australian practitioners, mentioning that the apparently disproportionately high rate of Australian practitioners in international commercial cases seemed to have been brought about by repeat appointments. Prof Catherine Rogers (PennState Law and QMUL) commented that the geographical location of Australia could be a disadvantage so that creating online dispute resolution platforms may be a viable solution. Prof Luke Nottage (University of Sydney) added that Australia’s location could even become an advantage if targeting dispute resolution between South America and (South) Asia or “One Belt, One Road” countries or Africa. The third topic was: “Should Australia, like the US under Trump Administration now skeptical of ISDS, reform existing provisions”? Jessica Casben Fell (Office of International Law in the Commonwealth Attorney-General’s Department of Australia) pointed out the diverse nature of ISDS provisions in various FTAs and suggested that Australia needed to work for multiple reform options at the same time to protect the national interest. A/Prof Kawharu regretted that the inadequate improvements contained in the TPP-11 would probably not reverse the negative public perceptions that have emerged in New Zealand recently, resulting in the new Coalition government renouncing ISDS for future treaties. Dr Sharma enumerated some recent dispute resolution initiatives in Asia that might could be used for investment disputes (such as Belt and Road, ASEAN, Japan, and the Indian Ocean Rim association), pointing out that they have all included the option of mediation. In the second symposium session, Prof Vivienne Bath (University of Sydney) provided her insights on developments on cross-border litigation in Asia. Overlapping jurisdictions brought about by long-arm jurisdictions of common law countries (such as Australia) but also China posed fascinating legal challenges to the region. Explaining various possible solutions to the issue (especially arbitration, exclusive jurisdiction clauses, and international commercial courts) and their limitations, she concluded that Australia and Asia could not ignore the legal development of China in doing international business. Adjunct Prof Donald Robertson (Herbert Smith Freehills and University of Sydney) then commented about the rise of the movements for establishing international commercial courts on a global scale and added that the abundance of such movements outside of traditional international commercial dispute resolution venues reflected current real-politik. As an example, he introduced a case in which a Russian company decided to resort to the Singapore International Commercial Court (SICC), which, in his view, came from the company’s distrust of London’s Commercial Court. The third session was dedicated international commercial arbitration and mediation in general. Prof Rogers introduced her project “Arbitrator Intelligence (AI)” whose aim was to promote transparency, accountability, and diversity in the arbitrator selection process by supplying more information about arbitrators and more opportunities for arbitration users to provide feedback about arbitrators. Dr Dominic Dagbania (UWA) positively evaluated the project since increasing transparency of arbitrator appointment process would lead to greater efficiency of international arbitration. Second, Prof Nottage presented highlights from his recent JoIA article co-authored with James Morrison (sole practitioner, associated also with Allens) that critically assessed the Australian International Arbitration Act (drawing on a more comprehensive paper). He emphasised the significance of regular reforms of the Arbitration Act, including issues not clearly regulated in Model Law itself (such as indemnity costs after unsuccessful challenges) in shaping a strong arbitration community in Australia and increasing its attractiveness as a seat. Jeffrey Waincymer (Adjunct Professor at the National University of Singapore) added that the validity of the arbitration agreement was one of the most fundamental elements, with tribunals and courts exercising concurrent control under the Model Law. He argued for more deference to tribunal decision-making with respect to jurisdiction, the standard of proof applied when testing the arbitration agreement, and its applicable law. In the fourth session, the participants of the symposium shared their diverse insights on investor-state arbitration. Prof Stephan Schill (University of Amsterdam) proposed a comparative constitutional framework analysing private-public arbitration. He introduced the idea that, as there was no centralized method to control private-public arbitration, a framework for conceptualising legitimacy of private-public arbitration could be developed through comparative law analysis of the boundaries of constitutional principles such as democracy, human rights and the rule of law. Ana Ubilava (University of Sydney), drawing on her quantitative data set developed to research investor-state mediation for her PhD thesis, cautioned that ISDS arbitration claims were being used overwhelmingly against developing countries (where national laws and courts were expected to be problematic) and that known ISDS awards or even settlements were already mostly made at least partly public. Dr Caroline Henckels (Monash University) analysed the current status of public-private arbitration in Australia, drawing on her national report for Schill’s book project. Australian law has not adequately kept up with the rise in government contracting so raising the public awareness of the necessity of domestic legislative reform is crucial to protect the public interest. Problems included the federal or state government’s unlimited ability to enter contracts providing for arbitration, and other lack of distinction between public-private arbitrations and purely private ones. Hon Robert French AC (UWA Chancellor and former Chief Justice of Australia) generally agreed but commented that Australian public law’s quite extensive review of executive action might already provide some oversight of public-private arbitrations. Esme Shirlow (King’s College London) presented empirical research for her PhD thesis on how international adjudicators attribute weight or relevance to domestic decisions in the practice of international investment treaty arbitration. Analysing 1492 publicly available ‘private property’ decisions of the PCIJ, ICJ, ECtHR and ISDS tribunals, she presented a taxonomy tracking the different approaches used by these international courts and tribunals to recognise domestic authority. She further demonstrated that ISDS tribunals have exhibited respect for domestic authority over the last 10-15 years using a mixture of techniques, including good faith, procedural, and substantive review. She compared this to the approach of the the ECtHR, which has increasingly adopted procedural approaches to review, deferring to domestic decision-makers if they have adopted a measure (such as expropriation) after going through a proper procedure. The fifth session addressed inter-state dispute settlement, especially under the WTO regime. Dr Brett Williams (Williams Trade Law) suggested a further reason behind the US threatening to close down WTO dispute settlement by blocking appointments to the Appellate Body. He argued that US steel and aluminium manufacturers had been worrying about the potential for the WTO to rule against the US’s continuous use of methods for inflating dumping margins and therefore duties on imports especially from as its status changed from 2016 to a market-based economy, 15 years after conclusion of China’s WTO accession agreement. 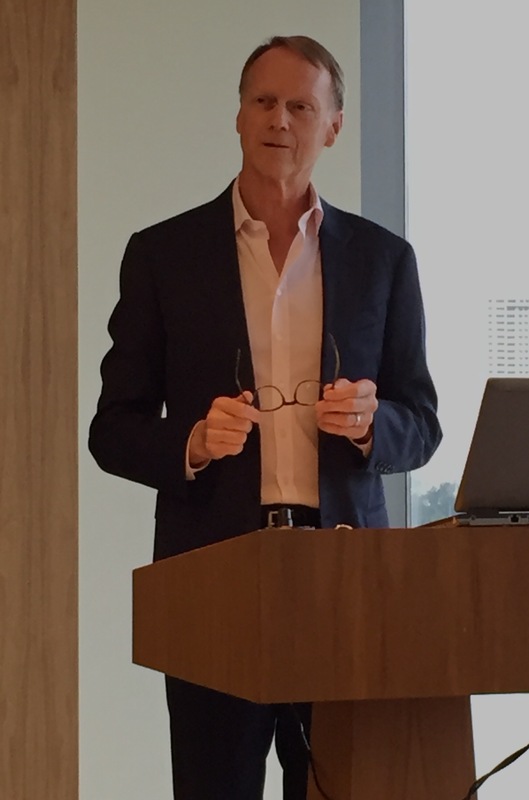 Richard Braddock (Lexbridge Lawyers) added that it was impossible to eliminate political influence from the WTO system although it was supposed to provide a politically neutral platform for inter-state dispute settlement. Prof Nottage rounded up the final general discussion by highlighting the overlaps identified among the various types of cross-border dispute resolution directly or indirectly involving commercial interests. He called for innovative approaches from the government in Australia, and neighbouring countries such as New Zealand, to counteract the “Back to the Future” bilateralism recently revived by the US, and other challenges to globalisation particularly in the Asia-Pacific region. 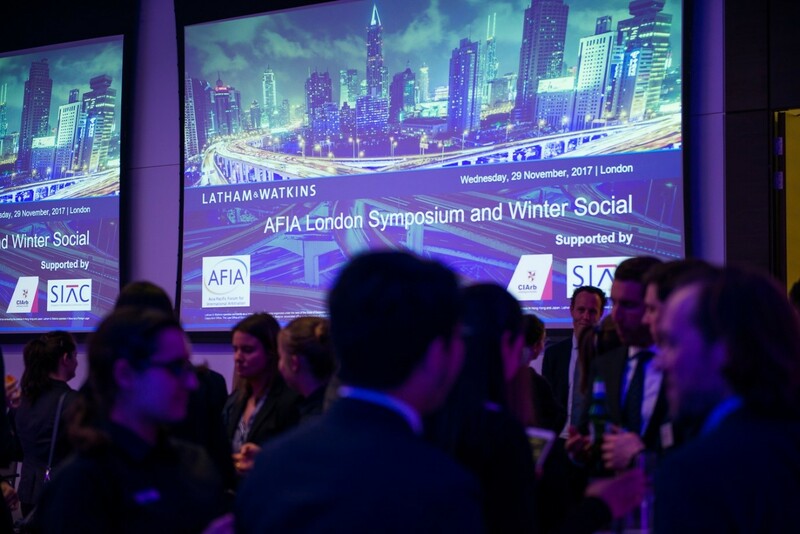 AFIA’s 49th Symposium took place on 29 November 2017 in London, followed by its Winter Social. 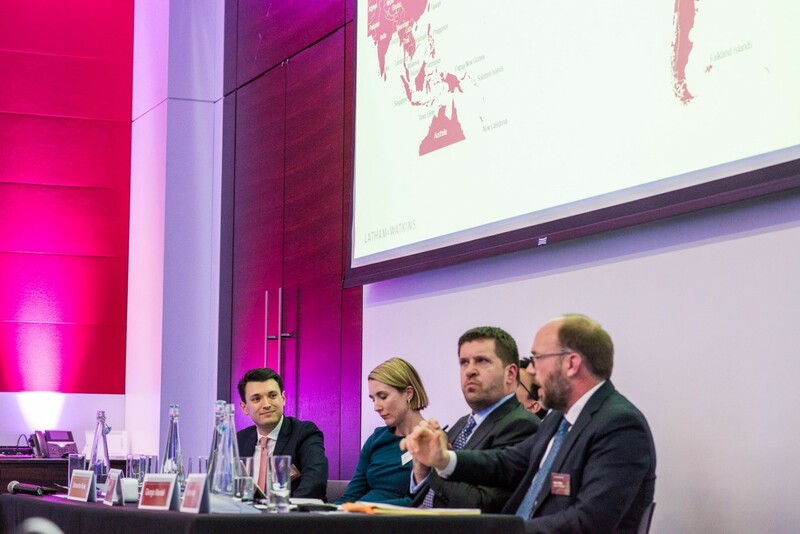 Hosted by Latham & Watkins, the event featured two panel discussions on the subject of Latin America – Asia Pacific Trade Flows and Disputes, bringing together speakers with a broad range of backgrounds and experiences to discuss the growing interactions between those two regions and the disputes that arise from them. The evening began with Jonathan Lim (AFIA Co-Chair, Associate at Wilmer Cutler Pickering Hale and Dorr LLP) moderating a panel discussion on economics, trade relations, and trade and investment disputes. Panellists included economist Cristian Rodriguez Chiffelle (World Economic Forum), investment arbitration specialist Carmen Martinez Lopez (Partner, Three Crowns LLP) and trade law expert Naboth van den Broek (Partner, Wilmer Cutler Pickering Hale and Dorr LLP). The second panel was moderated by Samuel Pape (AFIA Europe Representative, Associate at Latham & Watkins) and featured Samantha Rowe (International Counsel, Debevoise & Plimpton LLP), John Adam (Counsel, Latham & Watkins LLP), Giorgio Mandelli (Partner, Volterra Fietta LLP) and Paul Tan (Partner, Rajah & Tann Singapore LLP) as speakers. The discussion focused on current issues in international arbitration in the two regions. 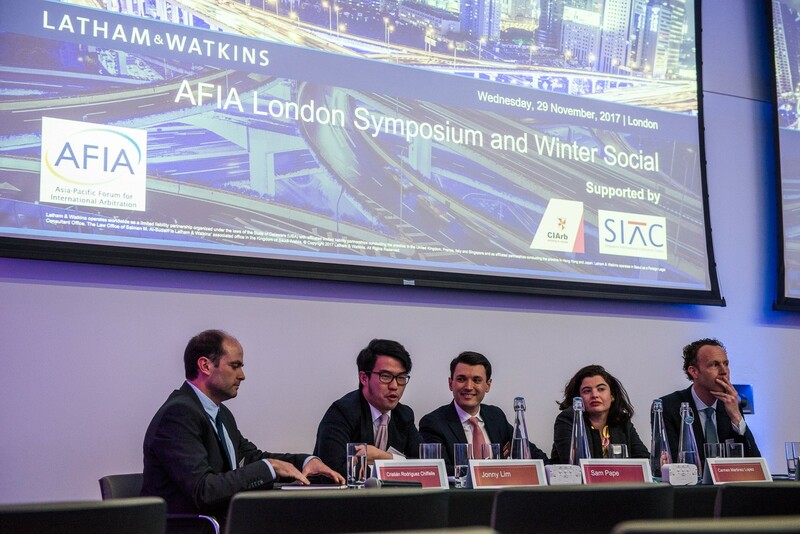 The panel discussions were followed by a Q&A session and AFIA’s Winter Social over drinks and canapés. The event was attended by over 80 people including lawyers, journalists and economists. A version of this article was originally published on the Kluwer Arbitration Blog on 6 Dec 2017. New Zealand now officially opposes investor-state dispute settlement (ISDS), thanks to the election of a new centre-left Labour-led coalition government that took office in October 2017. In a post-Cabinet press conference on 31 October, Prime Minister Jacinda Adern announced that: “We remain determined to do our utmost to amend the ISDS provisions of TPP. In addition, Cabinet has today instructed trade negotiation officials to oppose ISDS in any future free trade agreements.” Adern is also reported to have described ISDS as a “dog”. This announcement followed the unexpected (and close) electoral victory over the more centre-right National Party, which had governed for three terms. The National Party had actively promoted free trade agreements (FTAs), including ISDS-backed commitments. Earlier Labour Governments had also promoted FTAs, notably with China (in force from 2008, and also containing ISDS provisions). That FTA has been accompanied by a four-fold increase in goods exports from New Zealand to China, while China has risen to become New Zealand’s ninth largest source of foreign investment. Overall, China now ranks as New Zealand’s second-largest trading partner. However, bipartisan support over FTAs and foreign investment had begun to fray when the National Government signed the Korea FTA in 2015 and the TPP in February 2016. During inquiries into ratification, Labour parliamentarians raised concerns about whether these agreements allowed sufficient host state regulatory space, for example for New Zealand to introduce new types of restrictions over purchases by foreigners of residential property (the market for which has been booming). Some questions were also raised about ISDS, reflecting broader public concerns (as can be seen in our analysis of New Zealand newspaper reports here). As in countries like Japan and Korea, recent public concerns over ISDS may have reflected New Zealand’s love-hate relationship with the United States. It was then a driving force behind the TPP negotiations, but also a major attraction for New Zealand since an FTA with the US had long been a top trade priority. In 2015, and shortly after the parliamentary select committee report on the Korea FTA was issued, the populist New Zealand First party (led since 1993 by former National Party politician Winston Peters) tabled the “Fighting Foreign Corporate Control Bill” which would have precluded governments from agreeing to ISDS provisions in future treaties. At the time, the Labour Opposition was prepared to support the Bill through to the select committee stage so as to enable focussed scrutiny of ISDS, although it was unlikely to have backed the legislation any further since it was contrary to Labour’s view of the Executive’s prerogative to negotiate treaties. In the event, the Bill was defeated at its first reading. In this October’s general election, Labour took 46 seats in Parliament (out of 120) while National took 56, thus needing New Zealand First to form a coalition government. New Zealand First eventually decided to join with Labour, citing closer alignment with Labour on the role of capitalism in society, and perhaps sensing a mood for change. Policy-wise, there is reasonable alignment between New Zealand First and Labour on controls over foreign investment and immigration. Against this political backdrop, it is unsurprising that the new Labour-led government declared soon after taking office that it would legislate stricter controls over foreign investment in residential land. Specifically, the new government proposes to add residential housing to New Zealand’s foreign investment screening regime. Presumably, it is treating residential housing as a new class of “sensitive land”, and will rely on an exemption in its FTAs that allows New Zealand to maintain its screening regime with respect to the current categories of screened investment (including sensitive land). The one exception is its FTA with Singapore, which confines sensitive land to non-urban land. The government accepts it will need to negotiate a solution with Singapore. Australian investors will be excluded from the new measure. It is also unsurprising that the new government made the announcement regarding ISDS, set out at the outset of this blog post. What is rather more surprising is what the New Zealand government then seems to have done, in reaching agreement in principle for a ‘TPP11’ agreement at the APEC Leaders’ meeting on 11 November in Vietnam, now that the Trump Administration has withdrawn US signature from the TPP. The renamed Comprehensive and Progressive Agreement for Trans Pacific Partnership (CPTPA, which we sometimes abbreviate as “C3PO”!) reportedly will commit New Zealand and the remaining 10 other signatories, including Japan (with which it still has no bilateral FTA), to ISDS provisions, but their application to investment agreements and investment authorizations will be suspended. In New Zealand’s case however, investment authorizations were already excluded from ISDS by virtue of Annex 9-H of the original TPP text. To confirm the extent of the changes to the ISDS-related provisions, we will need to await the public release of the final text of C3PO, which is undergoing ‘legal scrubbing’ by officials based on the 11 countries’ agreement in Vietnam. New Zealand may also approach countries other than Australia, with which it had already proposed through an exchange of letters to exclude ISDS bilaterally (consistently with their other bilateral and regional agreements), to seek similar treatment. Even once such revised agreements are signed off, signatory countries will need to go through national procedures for ratification, which may be complicated or at least take time. However, at this stage it seems that New Zealand has proven agreeable to quite limited changes to the TPP provisions on ISDS. Those were not renegotiated, for example, to add an appellate review mechanism. This is despite future agreement on such a mechanism being envisaged in TPP Article 9.23(11), and despite an appellate review being increasingly advocated by those unhappy about inconsistencies in rulings from traditionally-structured one-tier ISDS tribunals. Given these developments with the TPP, what will happen now with the ongoing ‘ASEAN+6’ negotiations for the Regional Comprehensive Economic Partnership (RCEP, which we sometimes call “R2D2”)? The danger for New Zealand is that if it insists on removing ISDS in this proposed regional FTA (it was included in a leaked 2015 draft investment chapter that we analyzed here), counterparties insistent on ISDS commitments may force New Zealand to leave the pact. They may hope that National will get back in power so that New Zealand can then sign the treaty, including ISDS commitments. There are clear parallels with the situation in Australia from 2011-2013. The centre-left Gillard Labor Government was in coalition with the more leftist Greens, which later proposed an Anti-ISDS Bill 2015 (eventually voted down by both the new Liberal Coalition Government and the by-then Labor Opposition). The Gillard Government adopted a recommendation (by majority) from the Australian Government’s Productivity Commission 2010 trade policy review report to eschew ISDS in future FTAs. Consequently, until it lost power in 2013, the Gillard Government was unable to conclude major FTAs with countries like China and Korea that had strongly pressed for ISDS. The difference now for New Zealand is that major FDI exporting countries negotiating RCEP, which have strong interests in ISDS protections, already have ISDS through existing FTAs (namely with China, Korea, and Singapore via earlier FTAs as well as AANZFTA) or will obtain ISDS if CPTPP comes into force (namely Japan). Australia is the other big FDI exporter into New Zealand, but their particularly closely linked economies, polities and legal systems arguably make this a special case for excluding ISDS protections anyway. India may also push for ISDS in RCEP based on its 2016 Model BIT, even though ISDS is heavily circumscribed through a lengthy exhaustion of local remedies requirement. India apparently agreed to omit ISDS altogether in its recent investment facilitation agreement with Brazil (with a longer-standing aversion to ISDS). As for the Southeast Asian countries negotiating RCEP, a recent JWIT Special Issue shows how most are comfortable with – but not strong proponents of – ISDS (except Singapore), while Indonesia is reconsidering its position in light of some recent high-profile claims. Overall, given this complex new situation domestically in New Zealand and for RCEP negotiations, we think it is time for New Zealand – and indeed Australia, where the current Coalition Government has just lost its majority – to rethink its approach more generally towards investment treaties. Specifically, we have written to leaders in both New Zealand and Australia recommending a shift towards introducing an EU-style two-tier investment court model in lieu of traditional ISDS, as a compromise way forward. Stay tuned for more! The Federal Court decision in WDR Delaware Corporation v. Hydrox Holdings Pty Ltd; In the Matter of Hydrox Holdings Pty Ltd (27 September 2016) offers valuable insight into the scope for disputes to be held to be arbitrable, and justifying a stay of proceedings, even for domains traditionally reserved for courts like the winding up proceedings in this case. The decision explores the arbitrability of disputes where they occur within the purview of a statute such as the Corporations Act, the attendant considerations of public policy and the rights of third parties who may not be parties to the arbitration clause. Foster J held that the mere fact that a winding up order was being sought and founded upon an “oppression action” did not alter the characterisation of the real controversy as being an inter partes dispute. Although it was for the Court and the Court alone to decide whether a corporation should be wound up, issues alleged to amount to oppression within the meaning of the Corporations Act were arbitrable. Those issues were separable from the ultimate question of whether the corporation should be wound up. In such circumstances, where court proceedings were advancing disputes within the scope of an arbitration clause, they could be stayed. The First Plaintiff WDR Delaware Corporation (WDR) was incorporated in Delaware in the United States of America. The Second Plaintiff, Lowe’s Companies, Inc (Lowe’s) was incorporated in North Carolina. WDR was a wholly owned subsidiary of Lowe’s. The Second Defendant, Woolworths Limited was listed on the Australian Securities Exchange. In 2009 Lowe’s and Woolworths formed a Joint Venture Agreement (JVA) to establish and operate a chain of home improvement and hardware stores known as “Masters”. The joint venture was to operate through a special purpose corporation, Hydrox Holdings Pty Ltd (Hydrox). WDR held one third of the shares in Hydrox. Woolworths held the remaining two thirds. Hydrox was the corporate vehicle for the conduct of the Masters joint venture. The Masters venture was not a success. Disputes arose between WDR and Lowe’s on the one hand, and Woolworths on the other. Lowe’s and WDR approached the Court on an ex parte basis and sought the early return of an Originating Process claiming a declaration that the affairs of Hydrox had been conducted in a manner oppressive to, unfairly prejudicial to or unfairly discriminatory against WDR, and an order pursuant to s.233(1)(a) of the Corporations Act 2001 or alternatively pursuant to s.461(1)(k) of the Corporations Act that Hydrox be wound up. Foster J observed that s.233(1) empowered the Court to make one or more of ten types of orders of which a winding up order was only one. 23 of the Federal Court of Australia Act 1976 (Cth); and/or the implied powers of the Court. Woolworths contended that the arbitration clause in the JVA provided that disputes which comprised the subject matter of the proceedings must be determined by arbitration and that all of the disputes raised by the Plaintiffs in the proceeding were “capable of settlement by arbitration” within the meaning of that phrase in s.7(2)(b) of the IAA and also within art 8(1) of the UNCITRAL Model Law on International Commercial Arbitration. Foster J held that s.7 of the IAA was engaged, because both WDR and Lowe’s were domiciled or ordinarily resident in the USA which is a New York Convention country (see s.7(1)(d)). Although neither the Plaintiffs nor Woolworths submitted that an arbitrator appointed under the JVA could make an order winding up Hydrox, the Plaintiffs argued that no part of the proceeding was arbitrable. Woolworths submitted that all of the Plaintiff’s claims, i.e. those pertaining to oppression allegations other than the winding up order itself were arbitrable. The parties were also in dispute concerning the exercise by WDR of a put option requiring the purchase price of its shares in Hydrox by Woolworths to be determined pursuant to a methodology in the JVA and the circumstances surrounding the exercise by Woolworths of its call option under the JVA requiring WDR to sell its shares in Hydrox to Woolworths. The exercise by each party of its option triggered the necessity for Independent Expert Valuations. WDR gave notice of dispute for the purpose of the arbitration clause as to whether the independent expert valuation obtained by Woolworths was valid within the meaning of the JVA. Woolworths similarly gave notice of arbitration for the same reasons. WDR commenced an arbitration (though Woolworths did not) on the put option and independent valuation dispute and Woolworths lodged a Defence and Counterclaim. Foster J held that there was a “policy of minimal curial intervention” in matters governed by arbitration agreements (Robotunits Pty Ltd v. Mennel). In a stay application Courts were not entitled to delve into the merits of a case any more than they were in the context of enforcement or setting aside proceedings (Robotunits). There was a special need to have regard to international case law when construing and applying the IAA, the New York Convention and the Model Law (TCL Air Conditioner (Zhongshan) Co Ltd Limited v. Castel Electronics Pty Ltd). The word “matter” in s.7(2)(d) of the IAA connoted that matters to be determined in any given proceeding were distinct from the proceeding itself and multiple matters may exist within the one legal proceeding. In Tanning Research Laboratories Inc v. O’Brien Deane and Gaudron JJ (at 351-352) had held that, unlike Ch III of the Australian Constitution, “matter” in s.7(2) of the IAA did not mean “the whole matter”. Foster J held that the “matter” for the purposes of s.7 of the IAA may or may not comprise the whole subject matter of any given proceeding. The Court had to identify the “matter”. The Plaintiffs argued that the Court was being asked to exercise a power, namely winding up a corporation, a pre-condition to which was the formation of an opinion as to the appropriateness of the relief, which necessarily concerned evaluation of the allegations put forward in the oppression proceedings. Foster J observed that the issue of arbitrability went beyond the scope of an arbitration agreement. It involved a consideration of the inherent power of the national legal system to determine what issues are capable of being resolved through arbitration in accordance with nation’s domestic law alone (Comandate Marine Corp v. Pan Australia Shipping Pty Ltd). For a matter to be non-arbitrable there had to be a “sufficient element of legitimate public interest in the subject matter making the enforceable private resolution of disputes concerning them outside the national court’s system inappropriate”. The Plaintiffs accepted that some claims for relief under the Corporations Act were arbitrable including claims for purely inter partes relief under s.233 (ACD Tridon Inc v. Tridon Australia Pty Ltd per Austin J; Robotunits; Re 700 Form Holdings Pty Ltd; and Brazis v. Rosati). They submitted that a claim for a winding up order was not arbitrable at all. Foster J followed the decision in Tanning Research Laboratories Inc v. O’Brien. It held that the question of whether the debt was due and if so, in what amount, was arbitrable notwithstanding that it was raised in a context which directly involved application of the Corporations legislation and even though the ultimate decision of whether or not to reverse the liquidator’s rejection of a debt could only be made by the Court. Foster J referred with approval to Fulham Football Club (1987) Limited v. Richards where the Court held that although only the Court could wind up the company, the arbitration clause covered the issues in dispute which might form the grounds upon which a winding up order might later be made. In Fulham Football Club Patten LJ referred to in Re Pevril Gold Mines Limited where it was said that an agreement between shareholders to resolve a dispute which might later justify a winding up order on the just and equitable ground would not, if the subject of an arbitration clause, infringe the company law statute or be void on grounds of public policy. In Tomolugen Holdings Limited v. Silica Investments Limited the Singapore Court of Appeal followed Fulham Football Club and Re Quiksilver Glorious Sun JV Limited where a distinction was made between the substantive dispute, i.e. the commercial disagreement and the order which was ultimately sought. As to separability of disputes, Foster J considered ACD Tridon Inc v. Tridon Australia Pty Ltd where one group of claims made in the proceeding fell within the wording of the relevant arbitral agreement but four others did not. The court distinguished A Best Floor Sanding Pty Ltd v. Skyer Australia Pty Ltd where Warren J declined an application for an order staying a winding up proceeding on the grounds that an arbitration clause purporting to give that power was null and void, because it had the effect of obviating the statutory regime for the winding up of a company. However, the public policy considerations held by Warren J to be applicable to the disputed claim to wind up a company did not prevent the parties from referring to arbitration a claim for some merely inter partes relief under the oppression provisions of the Corporations Act. In conclusion, Foster J held that the case was a dispute solely between the shareholders of Hydrox involving the way in which those shareholders performed their contractual and other obligations inter partes. There was no public interest element in the determination of those disputes. No one had suggested that Hydrox was insolvent. No creditor had sought leave to participate in the proceeding. The mere fact that a winding up order had been sought did not alter the characterisation of the real controversy between the parties as being an inter partes dispute. Other than the relief sought as to a winding up order, the questions of fact and law marking out the substantive controversy between the parties were all matters which were capable of resolution by arbitration. Foster J held that if, at the end of the arbitral process the award or awards did not address satisfactorily or comprehensively all of the grounds relied upon by the Plaintiffs in support of their claims for relief in the present proceedings, then they could supplement them with any available evidence in support of a winding up application. Having regard to the fact that there were two extant arbitrations already on foot between the same parties concerning central aspects of the JVA and upon an intimation by Senior Counsel for the Plaintiffs that his clients would not wish to proceed with the hearing of the winding up application until such time as the arbitrable matters had been determined by arbitration, Foster J granted a stay of the whole of the present proceedings. WDR Delaware v Hydrox Holdings has already been referred to in Four Colour Graphics Australia Pty Ltd v Gravitas Communications Pty Ltd  and applied in In the matter of Infinite Plus Pty Ltd (“Infinite Plus”), another shareholder oppression claim. The most noteworthy aspect of the latter is the demonstrated breadth and flexibility of the discretion to stay a part of the proceedings even if non- arbitrable. In WDR Delaware v Hydrox Holdings, the application for the winding up order sought was non-arbitrable, but was stayed pending the outcome of the arbitrable disputes involving the oppression claim. “ the basis for the discretion is that the spectre of two separate proceedings-one curial, one arbitral, proceeding in different places with the risk of inconsistent findings on largely overlapping facts, is undesirable” . Thus, it would seem that if arbitrability of a dispute can be shown, the mandatory language in s. 7(2) of the IAA and Article 8(1) of the Model Law will lead not only to the stay of those disputes but may also lead to the exercise of a discretion , based on the court’s inherent power to control its own process, involving claims beyond the strict scope of the arbitration clause. FCAFC 192; (2006) 157 FCR 45. HKCFI 1306; (2014) 4 HKLRV 759. NSWSC 470 (27 April 2017). Recyclers of Australia Pty Ltd v Hettinga Equipment Inc  FCA 547@ ,. Investment arbitrations have in the recent years attracted criticism for second guessing decisions affecting interests of States and their decisions relating to public policy issues. This has led many to call into question the legitimacy of the investor-State dispute settlement system. The decision on liability rendered in the ICISD proceedings brought by Tethyan Copper Company (“TCC”) against Pakistan in relation to the termination of TCC’s operations pertaining to the mining of copper reserves on 20 March 2017 is a case in point. The tribunal found violations of the Agreement between Australia and the Islamic Republic of Pakistan on the Promotion and Protection of Investments (Islamabad, 7 February 1998) (“Australia-Pakistan BIT”) by Pakistan, despite the Pakistan Supreme Court’s findings that the investment was tainted by corruption and that the CHEJVA (defined below) was void. Balochistan, a province of Pakistan, is a land enriched and embedded with rare, exotic and valuable minerals. To engage in the exploration of gold and copper in the Reko Dek area in the Chagai District, on 29 July 1993, the Balochistan Development Authority (“BDA”), along with BHP Minerals Intermediate Exploration Inc. (“BHP”) became parties to the “Chagai Hills Exploration Joint Venture Agreement” (“CHEJVA”). The CHEJVA was on 4 March 2000 converted into a tripartite agreement, through an addendum entered into between the Governor of Balochistan (“GOB”), BDA and BHP. On 28 April 2000, BHP entered into an Option Agreement with Mincor Resources, establishing an exploration alliance, giving exploration and acquiring mineral rights from BHP to Mincor, against a consideration of $100. Mincor created a specialised company, TCC, which was granted an Exploration License to operate in the designated area. Mincor was also granted the right to assign its rights under the Agreement to TCC at any time. Subsequently, a Novation Agreement was entered into between TCC, GOB, BDA and BHP on 1 April 2006. The recitals re-stated that GOB, through the Chairman of BDA and BHP, were parties to the CHEJVA, and provided that the parties agreed to substitute TCC with BHP as a party to the Agreement. The Novation Agreement further provided that TCC, in replacing BHP, would enjoy rights and benefits accorded to BHP under the CHEJVA, and that the percentage interests of GOB and TCC would be 25% and 75% respectively. Registered with the Board of Investment, TCC incorporated a local subsidiary (“TCCP”) and, in December 2007, the Islamabad High Court approved the union of both companies under the scheme of arrangement and all licences and properties were transferred to TCCP. However, in 2006, Maulana Abdul Haq and others filed Constitution Petition No. 892 of 2006 in the High Court of Balochistan to challenge the legality of the CHEJVA along with the lack of timely completion (this case is reported here (“Reko Dek Case”). The petitioners sought declarations that the transactions based upon the CHEJVA were illegal. The High Court in its judgment dated 26 June 2007 dismissed the Petition and found the CHEJVA and other acts of GOB/BDA to be legal and valid. Other petitioners filed Constitution Petitions directly before the Supreme Court of Pakistan under Art 184(3) of the Constitution, questioning the validity of the grant of licence(s) to BHP/TCC on the grounds of absence of fairness, violation of laws and risks to the vital interests of the Province of Balochistan. This was followed by a Civil Petition for Leave to Appeal No. 796 of 2007 against the judgment of the Balochistan High Court. All of the petitions and miscellaneous applications were heard together and disposed of in a single judgment. Pursuant to a special meeting held on 14 November 2011, an application for the grant of a Mining Lease by TCC was dismissed by the Mines Committee constituted under BMR 2002 along with the challenge to the decision by TCC through filing an administrative appeal before the Secretary, Department of Mines & Minerals, Government of Balochistan. TCC argued that the local laws were biased towards BHP and non-transparent. TCC did not challenge the orders before the High Court of Balochistan under Art. 199 of the Constitution, but filed simultaneous ICC and ICSID arbitrations against the Governments of Balochistan and Pakistan. Upon obtaining interim orders from the courts in Pakistan, the Supreme Court of Pakistan sought to enjoin the ICC and ICSID tribunals from proceeding. However, both tribunals declined to stay their proceedings, issuing interim awards and granting certain conservatory measures. Under Art 16 of the CHEJVA, the law applicable to the Agreement was the law of Pakistan but the parties agreed to adhere to certain principles of international law as well. On 7 January 2013, the Supreme Court of Pakistan declared the CHEJVA void for illegality on public policy grounds. It was firstly held that the laws of Pakistan took precedence to decide the legality of the agreement. The Supreme Court relied on the case of Inceysa v. El Salvador (ICSID Case No ARB/03/26) in which it was held that a contract made in violation of the host country’s law would not benefit from the protections of the relevant BITs or the rights granted by them, including the right to arbitration. The Supreme Court, citing the ICSID decision in World Duty Free v. Kenya (ICSID Case No ARB/00/7), noted that the safeguard mechanism offered to investors under the Australia-Pakistan BIT were subject to the investment being “in accordance with laws and investment policies applicable from time to time.” Hence, the Australia-Pakistan BIT required that investments be made in accordance with the law of Pakistan. Where investments are not made in accordance with that law, the investor was not entitled to any protection under the BIT. A similar approach was adopted in Tokios Tokeles v Ukraine (ICSID Case No ARB/02/18), which was also cited by the Supreme Court. In that decision, it was observed that it was a common requirement in modern BITs for “investments [to have] be[en] made in compliance with the laws and regulations of the host state”. The Supreme Court also found that parties were not parties to any valid arbitration agreement. Consequently, it was for the courts (and not an arbitral tribunal) to decide the legality of the arbitration agreement contained within the CHEJVA. In this regard, the court found the transaction to be tainted by corruption, and those involved in finalizing the same on behalf of the government to have been in positions of conflict. For instance, the signatory of the CHEJVA on behalf of the government, Mr. Ata Muhammad Jaffer had held the dual positions of Chairman BDA and Additional Chief Secretary at the relevant time, which created a conflict of interest. He had demonstrated visible haste in executing the agreement to the detriment of the government, and had been convicted for corruption under the Balochistan Civil Servants (Efficiency and Discipline) Rules 1983 for “living beyond his means”. In relation to the evidence of irregularities and corruption made available to the court, the Supreme Court noted that “[t]he Government examined the same and decided not to defend the said acts [of corruption and irregularities] and accordingly it decided to render full assistance to this Court from the record that was filed”, and further observed that “this record made shocking disclosures of extensive irregularities and corruption”. The Supreme Court further observed that it had broad authority under Art 184(3) of the Constitution to oversee the actions of the other State organs such as the Executive and Legislature under the principle of trichotomy of powers. Arising from the verdicts of the historic cases of Miss Benazir Bhutto v. Federation of Pakistan (PLD 1988 SC 416), the Supreme Court emphasised the need for an independent and vigilant system of judicial administration where all acts and actions leading to infringement of fundamental rights are nullified and the rule of law upheld in society. It further observed that a court cannot confer validity or immunity to a mala fide action or shield such action from judicial scrutiny. Further, the Supreme Court ruled that various recitals in the CHEJVA, the Addendum, the Novation Agreement, Mincor Option, Alliance Agreement were void and unenforceable as a matter of Pakistani contract law as they were contrary to public policy. Dismissing TCC’s arguments that this illegality did not affect the Novation Agreement, the Supreme Court stated that a necessary element for the execution of a valid novation is the validity of the original agreement that is to be substituted. Where an agreement is void, all subsequent alterations, variations or novations based upon such agreement will also be invalid under Pakistani law. In its judgment, the Supreme Court noted that the executive authority of Balochistan acted in a non-transparent, arbitrary and unreasonable manner in the disposal of public property, thereby failing to obtain the best competitive price for the said mineral resources. Tenders were not floated nor any competitive bids invited, making the entire process of awarding the CHEJVA to BHP uncompetitive, non-transparent and illegal. The decision of the ICSID tribunal has not been made public and the grounds on which the tribunal dispensed with the States concerns are not thus publicly known. The damages will be decided by the tribunal in a separate quantum phase. It is trite to say that insolvency matters are non-arbitrable. [i] However, an emerging line of authority suggests a nuanced and fact sensitive enquiry is nevertheless necessary to properly ascertain the essential character of the dispute. The mere fact that certain relief sought in a dispute invokes aspects of statutory insolvency regimes (e.g. a winding-up order), which relief cannot be granted by an arbitrator, does not in and of itself render the underlying dispute non-arbitrable. This is especially the case in a non-insolvency context. It is important for practitioners to recognise these competing interests, both in drafting arbitration clauses as well as in contemplating how best to approach a dispute involving an insolvent or potentially insolvent company. A genuine public interest exists in the centralised and efficient winding-up of insolvent companies, which takes account of the interests of all stakeholders. Based on these justifications, arbitration agreements which have the effect of obviating the public policy of the underlying statutory regime are generally considered unenforceable in their entirety. [iii] While courts have been known to nonetheless stay winding-up proceedings in favour of arbitration in an exercise of discretion[iv], this approach lacks certainty for litigants. A case by case approach for ‘non-core’ claims? Core claims are central to the winding-up process which cannot be circumvented, e.g., those which vest in the liquidator or concern substantive rights created under the insolvency legislation. Non-core claims are procedural in nature or incidental to the winding-up and may be arbitrable where they do not affect third parties. The distinction was explored in the recent decisions of the SGCA in Tomolugen Holdings Ltd v Silica Investors Ltd  1 SLR 373 (“Tomolugen”) and of the Australian Federal Court in WDR Delaware Corporation v Hydrox Holdings Pty Ltd (2016) 245 FCR 452 (“Hydrox”). These decisions bring their respective jurisdictions in line with the UK approach, mooted by Patten LJ in Fulham Football Club (1987) Ltd v Richards  Ch 333 (“Fulham FC”). Under that approach, the mere fact that the tribunal cannot grant statutory relief in core proceedings (such as a winding-up application) does not itself render certain incidental non-core proceedings non-arbitrable. Instead, a fact-sensitive enquiry is required to determine how the relevant dispute should be characterised, and whether any outcome is likely to affect the interests of third parties. Fulham FC concerned the question of whether a claim for relief for unfair prejudice under s 994 of the Companies Act 2006 was arbitrable. The decision of Patten LJ raised two issues which would be developed in the subsequent cases. Second, Patten LJ considered that it was no bar that statutory remedies were not available through arbitration, “jurisdictional limitations on what arbitration can achieve are not decisive of the question whether the subject matter of the dispute is arbitrable.”[vi] His Lordship took the view that a two-step approach was warranted, first the underlying dispute would be resolved by arbitration, only then would the parties be entitled to approach the court for the relief sought. Tomolugen also concerned the arbitrability of an unfair prejudice claim. Hydrox concerned an application to wind up a joint venture vehicle pursuant to s 233 (oppression/unfair prejudice) or s 461 (just and equitable grounds) of the Corporations Act 2001. Although it was not contested that the making of a winding-up order itself was non-arbitrable, there was a dispute as to whether the substance of the underlying factual issues should nonetheless be referred to arbitration. It was contended that the winding-up application required the determination of incidental issues which fell within the relevant arbitration clause, namely breach of contract, corporate governance and issues of bad faith. Applying the reasoning of Patten LJ in Fulham FC, Foster J held that the underlying issues were themselves arbitrable, even if the making of the actual winding-up order was not. His Honour considered that arbitrability turned upon characterisation of the underlying dispute, rather than the ultimate remedy sought. The instant case was properly characterised as a private dispute between shareholders in the joint venture vehicle, capable of resolution by arbitration. In reaching this conclusion, Foster J considered it relevant that the company was not insolvent, and that the determination of the underlying issues would have no impact upon any third party. Following Patten LJ’s approach in Fulham FC, it was ordered that the incidental issues be referred to arbitration, with any relief to be subsequently granted by the court. In summary, the above cases emphasise the emergence of a fact-sensitive approach to determining the nature of the underlying dispute in claims which seek statutory remedies often used in the insolvency context, in order to determine which side of the arbitrability line those disputes fall upon. [i] See for example the Australian decision: A Best Floor Sanding Pty Ltd v Syker Australia Pty Ltd  VSC 170 at  per Warren J, and Singaporean decision: Larsen Oil and Gas Pte Ltd v Petroprod Ltd  3 SLR 414 at - per VK Rajah JA. [ii] Ibid. at  per VK Rajah JA. [iii] See A Best Floor Sanding above n ii at -,  per Warren J (as she then was) citing the public interest in court adjudicated insolvency proceedings as justification for ruling null and void an arbitration agreement which expressly purported to extend to insolvency proceedings. [iv] See, for example, Salford Estates (No 2) Ltd v Altomart (No 2)  Ch 589, where Sir Terence Etherton C (Longmore and Kitchin LJJ agreeing) determined that an claim to wind up an insolvent company was non-arbitrable, but nonetheless exercised his general discretion to stay those proceedings so that underlying issues could be determined by arbitration. [v] Fulham Football Club (1987) Ltd v Richards  Ch 333 at  per Patten LJ. [vii] Tomolugen Holdings Ltd v Silica Investors Ltd  1 SLR 373 at  per Sundaresh Menon CJ. [viii] Ibid at  per Sundaresh Menon CJ. Indonesia’s present legal framework still presents challenges to anyone attempting to enforce arbitral awards in Indonesia. There are many procedural and bureaucratic issues confronting the enforcing party that are not properly addressed by Law No. 30 of 1999 on Arbitration and Alternative Dispute Resolution (“Indonesian Arbitration Law”) or the prevailing civil procedure law. The process of enforcing arbitral awards in Indonesia, especially international arbitral awards, can be very time and costs consuming. Parties seeking to enforce arbitral awards in Indonesia can expect to face significant delays and other obstacles, due to the overly complicated enforcement procedure. Under the present legal framework, there are at least four separate applications that must be submitted to the competent court in order to enforce arbitral awards in Indonesia. They are the (i) application for registering the award, (ii) application for court reprimand (aanmaning) on the award debtor, (iii) application for writ of executorial attachment (sita eksekusil) over specific assets of the award debtor, and (iv) application for auction order (lelang). For international arbitral awards, an application for a court enforcement order (exequatur) must also be submitted. The process is therefore likely to be lengthy and costs intensive. Under Article 67 of the Indonesian Arbitration Law, the registration of an international award must be conducted by submitting the award to the Registrar of the Central Jakarta District Court (which must be carried out by the arbitrator or his/her proxy), together with the following documents: (i) the original or an authenticated copy of the award and its official Indonesian translation, (ii) the original or an authenticated copy of the agreement which is the basis/underlying document of the dispute being settled in the award and its official Indonesian translation, and (iii) a statement from the Indonesian Embassy in the country whereby the award was rendered stating that the concerned country has a bilateral or multilateral treaty with Indonesia regarding the recognition and enforcement of foreign arbitral awards. Regrettably, the Indonesian Arbitration Law does not stipulate a time limit for the court to process the registration of the award and decide on exequatur applications. In recent years, even without any opposition from award debtors, applications for the registration of international arbitral awards are rarely disposed of in less than one month because the courts are congested. If the court receives opposition or challenge from the award debtor, the court will usually take a conservative view and stay the enforcement process until the opposition or challenge has been settled, meaning it can take several months or more for the court to finally issue its decision on an exequatur application. Although the Indonesian Arbitration Law clearly provides that a court decision granting exequatur is final and may not be appealed against, in practice it is not unusual for the award debtor to appeal against the exequatur. Although the court of appeal rarely convenes a court hearing in order to render its decision (usually decided on a documents-only basis), the court may still take a year to reach a decision. Pending a resolution of the appeal decision, the relevant arbitral award normally cannot be enforced against the award debtor (hence delaying enforcement even further). Pursuant to the 2006 Supreme Court’s Guidelines on Implementation of Court’s Duty and Administration, only national arbitral awards (instead of “international” arbitral awards) could be the subject of an annulment application because Indonesia is a party to the 1958 Convention on the Recognition and Enforcement of Foreign Arbitral Awards (“New York Convention”). Despite the foregoing, the commencement of an award annulment action is also becoming a common dilatory tactic for the Indonesian debtor of an adverse arbitral award. Just like appealing against the court exequatur, although there is no written law on such matter, the filing of an application for the annulment of an arbitral award would automatically stay the enforcement of the award. The enforcement courts usually stay the enforcement process until the annulment proceeding is totally completed and resolved. If the annulment action is not successful, it is not uncommon to see the award debtor then commence another court proceeding (although it is frivolous) in an attempt to set aside the award or at least to terminate or suspend the enforcement process. The problem can be worse if further related or overlapping proceedings are commenced (e.g., where a fresh action stemming from the underlying contract is brought), as the court would then stay the enforcement process until it is certain that there would not be a conflict between decisions made in the fresh proceedings and the arbitral award. The award debtors can also prolong the proceedings as long as they want simply by filing an appeal to the higher court. That means that an award debtor can successfully put off payment of his debt to the award creditor for at least another two to three years simply by commencing a civil action against the arbitral tribunal and/or the award creditor. As a result, a party who was successful in obtaining a favorable arbitral award and even exequatur from the court may be frustrated when seeking to have the award effectively enforced in Indonesia. It may be a tragedy to see that an arbitral award that has been recognized and declared to have executorial force in Indonesia can be stayed or frustrated for several years. In light of this, one will not be so surprised to see an award creditor who failed to recover sums awarded in the arbitration fall into financial distress. The development of this disturbing practice prompted Indonesia’s Supreme Court (being the highest court of appeal, which has long been struggling to reduce the courts’ workload) to issue Circular Letter Number 4 of 2016 on 9 December 2016 (“Letter”), in order to eliminate such bad practice. According to the Letter, which serves as a guideline that should bind all lower courts, there shall be no legal recourse (appeal or civil review to the Supreme Court) against court decisions that rejected petitions of arbitral award annulment: only decisions that annulled arbitral awards can be appealed. The efficiency of enforcing arbitral awards in Indonesia is further hampered by the fact that Indonesia currently has no specially trained judges who can be assigned to handle arbitration related cases. Besides, the court staff assigned to assist in handling arbitral award registration and enforcement matters generally show no strong understanding of arbitration. Indonesia is also well known for its unnecessary court interference in matters related to arbitral awards, although the situation is now gradually improving. Although the Indonesian Arbitration Law does not contain any express provision regarding the procedure and grounds for refusal of enforcement of arbitral awards, in reality there have been a number of precedents which show courts refusing to quickly and effectively enforce an arbitral award, and even refusing to honour the parties’ validly made arbitration agreement. As a matter of legal principle, the Indonesian Arbitration Law provides that the existence of a valid arbitration agreement precludes parties from submitting their disputes to the court. In addition, the court before which an action is brought in a matter which is the subject of a valid arbitration agreement is obliged to reject the action as inadmissible (except for certain matters as specifically stipulated in the Indonesian Arbitration Law, such as the appointment of an arbitrator in the event that the parties fail to agree, or where there is no previously agreed procedure on the appointment of an arbitrator). Although there are many challenges that Indonesia has to overcome with respect to the enforcement of arbitral awards, I am confident that this will change in the coming years if Indonesia’s Supreme Court, being the highest court in the country, is committed to creating such a change. As arbitration will continue to become increasingly important as a result of the growth of cross-border disputes, the courts should be committed to supporting arbitration, by ensuring a cost-effective and efficient mechanism for the judicial enforcement of arbitral awards. Given that the Indonesian legal regime for the enforcement of arbitral awards is still less developed thereby causing Indonesia to become less attractive as a venue for arbitration, I recommend the adoption of the UNCITRAL Model Law on International Commercial Arbitration (“Model Law”) as an amendment to the present Indonesian Arbitration Law, taking into consideration Indonesia’s national interests and needs. The adoption of the Model Law should be able to resolve many of the problems being faced in practice. As a Contracting State to the New York Convention, Indonesia should join the others in developing and modernizing its national arbitration law.